Dr. Safaii-Waite is Co-Founder of Nutrition and Wellness Associates and is Associate Professor of Nutrition and Dietetics at the University of Idaho. She is a nutrition communications professional, a registered dietitian and educator. SeAnne has published in various research journals and authored textbook chapters. Her work has been featured in the Food & Nutrition Magazine and Diabetescare.net. She loves sharing nutrition information in the media, writes for three newspapers, makes appearances on local television networks and has a series on the eHow Network. She is currently working on investigating the dietary practices of centenarians. Her leadership in dietetics has been recognized by the Academy of Nutrition and Dietetics with the Young Dietitian of the Year Award, the Outstanding Dietitian Award, and most recently the University of Idaho Community Outreach and Engagement award. She is a member of Gamma Sigma Delta Honor Society. She is past president of the Idaho Academy of Nutrition and Dietetics. An important aspect of SeAnne’s life is family — her husband, daughters and son. Together they lead a very active lifestyle cycling, running, skiing, and just about anything that gets them outdoors. One of her favorite foods is pizza and she would love to live to see her 100th Birthday! 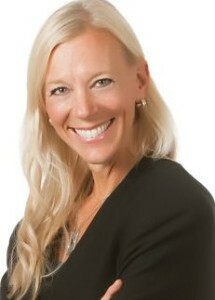 Sue Linja, RDN, LD, is a Registered Dietitian Nutritionist, specializing in geriatric nutrition. 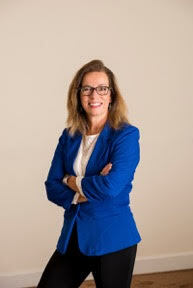 She is the co-founder and officer of three (3) nutrition corporations that provide consultative nutrition services to over 125 entities – nursing homes, hospitals, residential care facilities, and private health and wellness businesses. Sue has spent the past 25 years of her nutrition career working with those living the later years of their lives, both individuals in pursuit of nutritional health and longevity and those at life’s end. Nutrition and aging is her passion. A successful entrepreneur, speaker, and published author, Sue’s most recent focus has been on studying the foods, dietary habits and lifestyles of centenarians. Sue has been an active leader in nutrition gerontology and healthy aging. Her honors include the Academy Award for Outstanding Dietitian of the Year, the June Yerrington Award for Nutrition Excellence, the Recognized Young Dietitian of the Year and Area 1 Distinguished Member of the Year – Dietetics in Health Care Communities. Sue is a widely sought speaker for nutrition and aging seminars in the northwest and has worked on multiple nutrition publications and articles on this topic. She thoroughly enjoys meeting and working with her clients, especially those living into their 8th, 9th and 10th decades of life. Sue learns valuable life lessons from every person of age that she is fortunate enough to meet.